Lenbrassia is a genus with a single species, L. australiana, native to NE Australia. It grows in rainforests in soils comprised of decomposing granite at altitudes of around 1000 meters, and forms a small treee to 13 m tall. Flowers are usually tangerine orange. 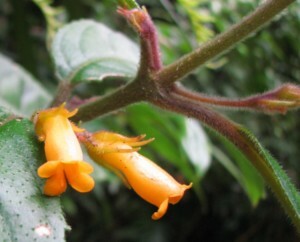 It is most closely related to Fieldia, another tree-like Gesneriad.